We have to keep modernizing weapons, arms as the technology is upgrading, and we are trying to bring in new and modernised technique ones in our Army, General Rawat said. “The Army has no shortage of arms. We have to keep modernizing weapons, arms as the technology is upgrading, and we are trying to bring in new and modernised technique ones in our Army,” General Rawat told the media after attending the bicentenary celebration of 9 Gorkha Rifles at 39 Gorkha Training Centre here. 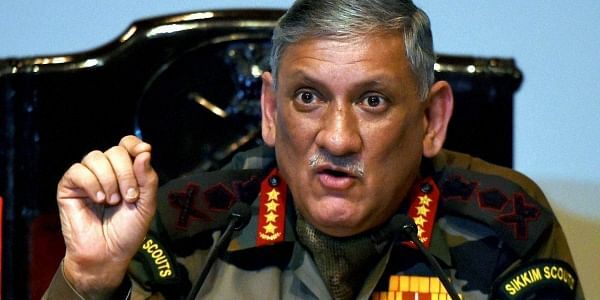 General Rawat also informed that stone pelting incidents in the valley have decreased. “Stone pelting incidents have come down to some extent. The Army, the Border Security Force (BSF), the Central Reserve Police Force (CRPF), the Jammu and Kashmir Police are working together in the state. Solution to this can't be achieved overnight. The government, intelligence agencies, state administration all are making efforts. Will be successful if things go in this direction, can say this with belief,” he said. "Prayed for the safety and security of our jawans on borders," he said.